Alwero is the company in Poland which produces clothing, slippers, blankets and household items in 100% wool, using wool from Europe. 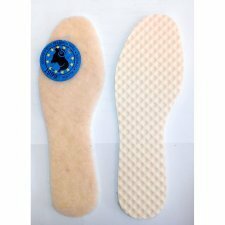 Their products have many certifications: WOOLMARK, HUMAN FRIENDLY (eco-friendly product) product "Friend of human health", SAFE FOR CHILD certified safe for children's health. 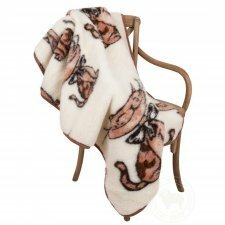 Colour: natural or natural with kitten print. 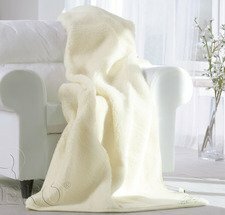 The blanket HIT is made with fabrics subjects to minimun treatments in order to keep intact the natural and original characteristics of wool. Colors: natural or natural with sheep print. 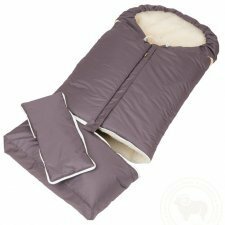 The special feature of this footmuff is the extensibility that can be secured with the handy zip, allowing the bag to stretch and then grow with your child! The outer fabric is made ​​of nylon windproof and waterproof make it more practical and light. Available colours: electric blue, light pink or grey. 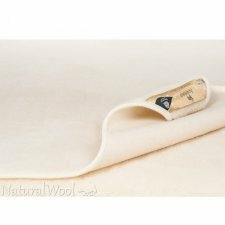 Liner for stroller made of 100% merinos natural wool, lining in 100% cotton. 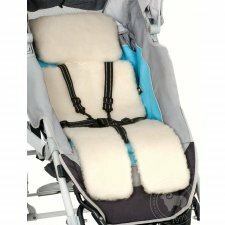 Let air circulate well between the seat and the back, so your baby will not sweat anymore and will keep your baby warm and comfortable during the winter time. Fits to all type of strollers, closes at the back with one elastic string. Wide elastic straps hold firmly. Poncho made of 100% wool. Colour: light grey and anthracite grey. 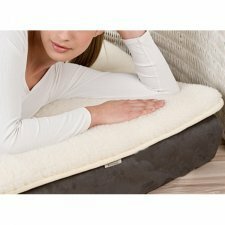 Size: 85x190 cm, for single bed. Size: 200x220 cm. - Colour: natural.